A pig (pipeline inspection gauge) used in a 6" refined petroleum pipeline in West Texas. A natural gas energy processor has agreed to pay a $610,000 civil penalty and install millions of dollars worth of equipment to reduce harmful emissions at hundreds of facilities across western Pennsylvania and eastern Ohio. In a federal settlement filed this week in the U.S. District Court for the Western District of Pennsylvania, Ohio-based MarkWest agreed to pay the civil penalty and install $2.6 million worth of equipment at more than 300 compressor stations, pig launchers and pig receivers. In addition, the company will install and operate ambient air monitoring systems near compressor stations in Ohio and Pennsylvania and participate in other supplemental environmental projects, totaling $2.4 million. The federal settlement is the first to acknowledge that the use of a maintenance technique called “pigging,” is a major source of harmful emissions in wet gas shale plays like the Marcellus and Utica. The settlement between the U.S. Department of Justice, Environmental Protection Agency and Pennsylvania Department of Environmental Protection and two MarkWest subsidiaries -- MarkWest Liberty Midstream Resources, LLC and Ohio Gathering Company, LLC -- alleges the company failed to apply for or comply with air pollution permits. As a result, the company unlawfully vented hundreds of tons of natural gas and volatile organic compounds, or VOCs. VOCs include chemicals that cause smog, or ozone pollution, and can cause serious health impacts, including headaches, nausea and damage to internal organs. Patrick McDonnell, secretary of the Pennsylvania DEP said in a press release the new air monitoring data MarkWest must submit will help the agency improve oversight and reduce air pollution. "The new methodology to measure emissions from pigging developed through this case will help us work with all operators in Pennsylvania to reduce emissions," he said. MarkWest is the largest processor and separator of natural gas in the Appalachian Basin and has operations across the northeast and near the Gulf of Mexico. The company operates two processing facilities in West Virginia, one in Kenova and the Cobb Processing Facility in Clendenin. A spokesman for MarkWest said the settlement will only apply to the operations outlined in the documents. EPA says the technology installed under the settlement will prevent more than 700 tons of VOC emissions from being released annually. West Virginia Gov. Jim Justice has issued a third executive order targeting state regulations. 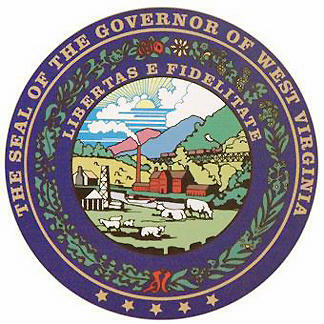 The Charleston Gazette-Mail reports the Republican signed an executive order on Monday to expedite permit processes for industry, business and economic development projects. Justice says the goal is to speed up economic development by backing off overregulation and providing security for job creators. Natural gas production in West Virginia's Northern Panhandle has soared as drilling has increased in the Marcellus and Utica shales. The Intelligencer and Wheeling News-Register reports that state data show natural gas production in Ohio County jumped from 84,000 cubic feet in 2011 to 22.6 billion cubic feet in 2013. Wetzel County's production jumped from 9.6 billion cubic feet in 2009 to 114.7 billion cubic feet in 2013. State regulators have granted a site certificate for a proposed natural gas-fired power plant in Moundsville. According to the West Virginia Public Service Commission, the 549-megawatt plant would cost about $615 million and is expected to be operational by August 2018. 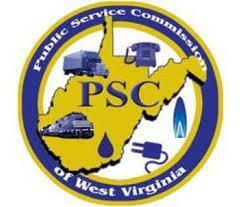 The PSC issued an air quality permit to Moundsville Power LLC for the plant in December and granted the site certificate on Friday. The plant will be located on a 37 1/2-acre site along the Ohio River where a chemical manufacturer was once located.